From November 2015 to February 2016 I was the recipient of the Australia Council for the Arts studio residency at Helsinki International Artist Program (HIAP), Helsinki. The HIAP residency was integral to MEL/HEL/MEL, a project based on ideas of exchange and navigation across multiple countries and time periods. 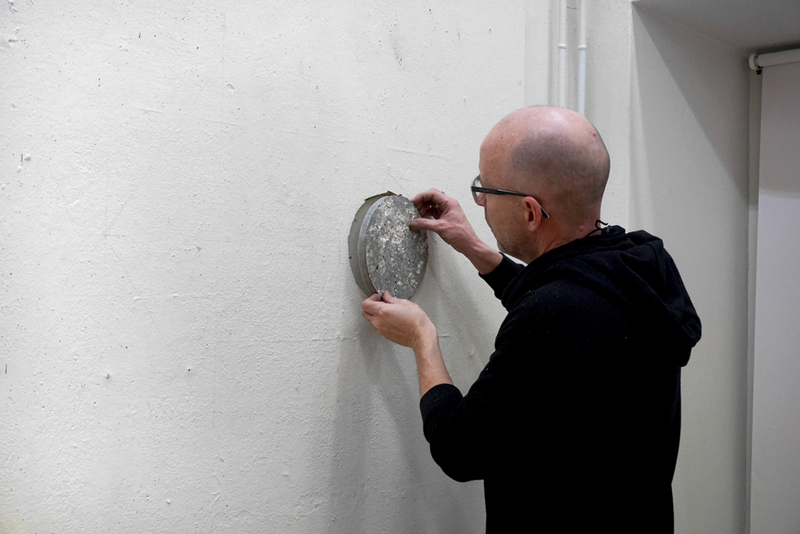 Before leaving Melbourne for Helsinki I extracted a part of my studio wall (consisting of paint, plaster and cement) and cast the material into a cement disk form measuring 15 cm diameter by 1.5 cm deep and packed it in with my luggage. 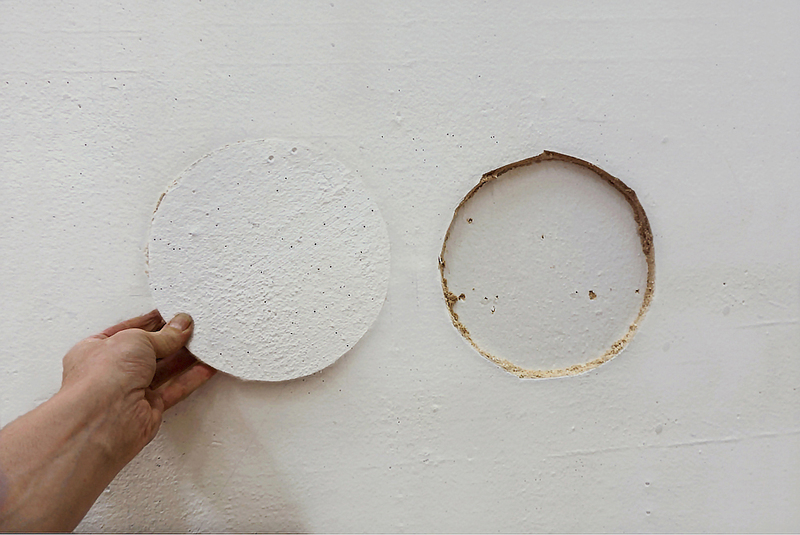 In the HIAP studio I removed a section of wall measuring the same size and inserted the disk, covering it with plaster and paint to match the existing studio wall. The project will conclude when I return to my Melbourne studio and insert the section of wall from the HIAP studio into the space left vacant.